So UFC 205 is just around the corner on November 12th 2016, this is set to be the first UFC event ever at the historic Madison Square Garden arena in New York. The MMA community has been deliberating about what sort of a fight card we would see for this landmark first MSG event, since we first found out in April this year. Tyron Woodley vs. Stephen “Wonderboy” Thompson was confirmed a few weeks ago as the headliner for MSG. Now while both of these fighters are incredibly talented, and stylistically it is a great match up, much of the MMA community were scratching their heads in uncertainty about the lack of “drawing power” on the card so far. Not to say that the fights already booked are not excellent quality because Woodley vs. Thompson is a top class MMA bout, so is Cerrone vs. Gastelum, Kennedy vs. Evans, Edgar vs. Stephenson and definitely Weidman vs. Romero which was confirmed around a week ago. 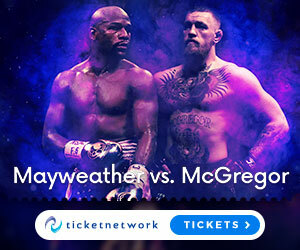 But the UFC nowadays has a very specific pay-per-view structure, a structure which has taken elements of the WWE structure for instance, which really requires a name “celebrity” draw fighter at the top of the card, someone that can draw a lot of eyeballs, someone who “moves the needle”, someone who even casual fans will pay a big pay-per-view price to see. Well just today the dust has settled on what will be the main event for UFC 205 – Conor Mcgregor vs Eddie Alvarez for the Lightweight Championship has been confirmed as the main event for UFC 205. Now some people in the MMA community are not happy about this booking as the main event, none more so then the phenomenal undefeated Lightweight contender Khabib Nurmagomedov. I have to say from a meritocracy stand point Khabib should have been given the title shot against Alvarez, but as i mentioned earlier – the UFC nowadays is more often going to give fighters main event slots based on their ability to sell pay-per-views, not so much on meritocracy. It’s a harsh reality of the sport of MMA in today’s world for many fighters, but given the fact that if Conor defeats Eddie Alvarez, he will become the first ever UFC champion to hold two belts in different weight classes at the same time – the UFC could not miss this opportunity to explode pay-per-view buys. Hopefully Khabib Nurmagomedov will get to face the winner, because the 22-0 Russian fighter has already shown he is capable of defeating any 155lber in the world that is put in front of him – but right now the UFC know that “The Notorious” Conor McGregor is the “money fight” and so from a business perspective is the right call to main event this MSG card. Either way the upcoming UFC 205 MSG event on November 12th is going to be must see TV for all MMA fans – the Irish will be in full force, New York will be buzzing, the rivalries will heat up and most importantly we will all be privy to a great night of bouts – and as always at the MMA Gateway we will keep you up to date on all the upcoming news on this historic event. Heres a breakdown from Luke Thomas on this story.